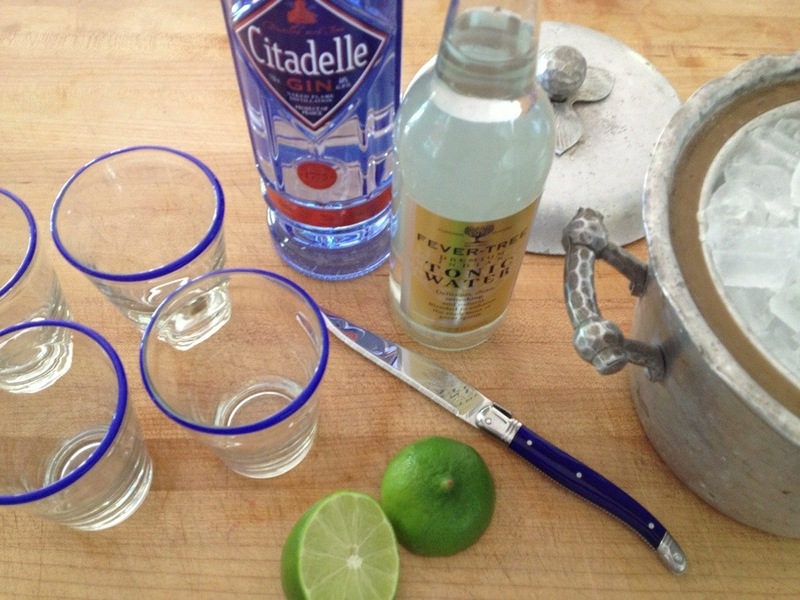 Stumbled across a yummy find awhile back that I thought I would share as we head into Summer gin & tonic season. We like to set out a variety of gins for a ‘help yourself’ G&T station during the sunny months when we have guests out on the island. It is a fun way for them to try something new or stay with an old favorite. The blue from this bottle of Citadelle quickly caught my eye, the fact that it is made in France sealed the deal for me. And then we tried it with guests a few weeks ago. Oh boy, really tasty. I had never heard of it until I spotted that blue bottle. From the bit of quick searching I have surmised that the brand has been given new life in the past several years. As it was produced in the 17th century, Citadelle gin is distilled in small copper pot stills with a naked flame. Using centuries old know-how passed down through five generations of master distillers, Alexandre Gabriel and the Pierre Ferrand cellar master have brought back to market a complex, refined and elegant gin. Look for the beautiful blue bottle. Cheers to Summer! We really like to entertain and see friends during the week in town. Most week-ends we are out on the island, plus we like the relaxed vibe of having guests over during the week. We keep it really easy. Last week we had guests and had Cafe Presse chicken & frites & salad for dinner. It is a few blocks from our home so it is so convenient to go and pick it up on the way home from work and have it rest in a warm oven. 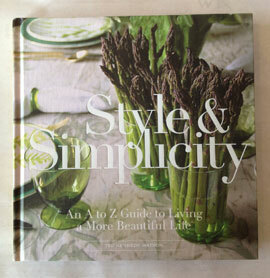 A little entertaining tip for week-day entertaining–all for a later post. 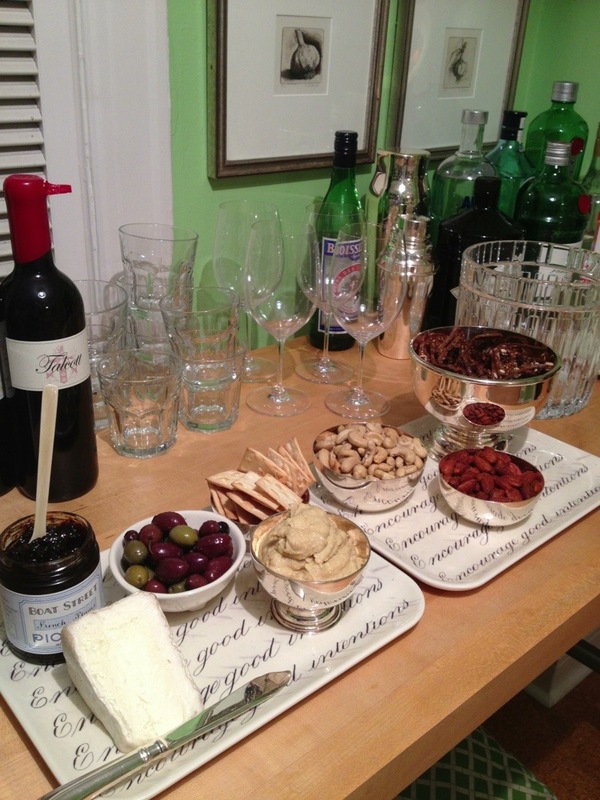 We really like to have a good variety of things set out for a nosh with cocktails when guests first arrive. Often I just set it out on the bar, and move it into the living room once everyone has arrived and we are sitting before dinner and chatting. Having things on trays make for easy transport. I can’t really fully express how much I love hotel silver as it is food safe and just elevates how pretty really normal food can look. It is our newest collection. Back to the food. Always a nut or two. This was really good cashews and spicy almonds. A fab piece of cheese almost always. A few bites of cheese really is filling. Crackers or baguette for the cheese. 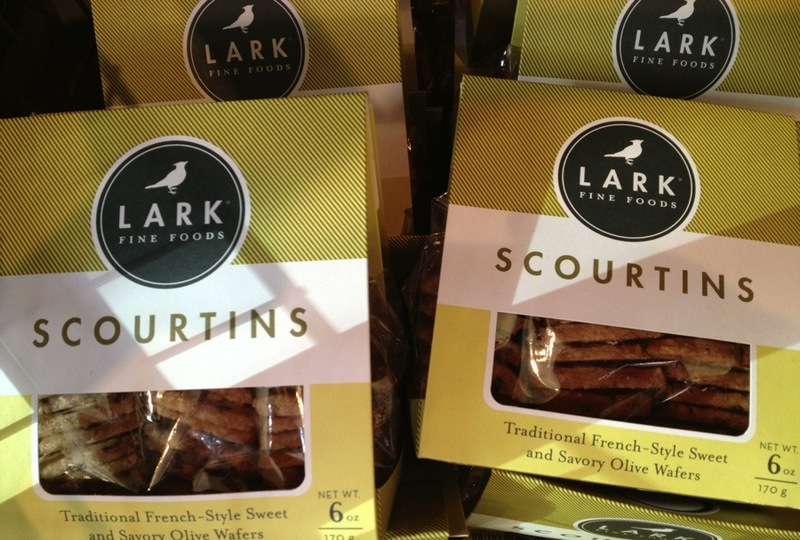 This was the great English toast crackers we just started selling that are laced with fruit. We also like putting out a sweet to add to the cheese. Huge fans of the Boat Street pickled French plums. Could really eat it straight out of the jar. Is sublime with cheese. 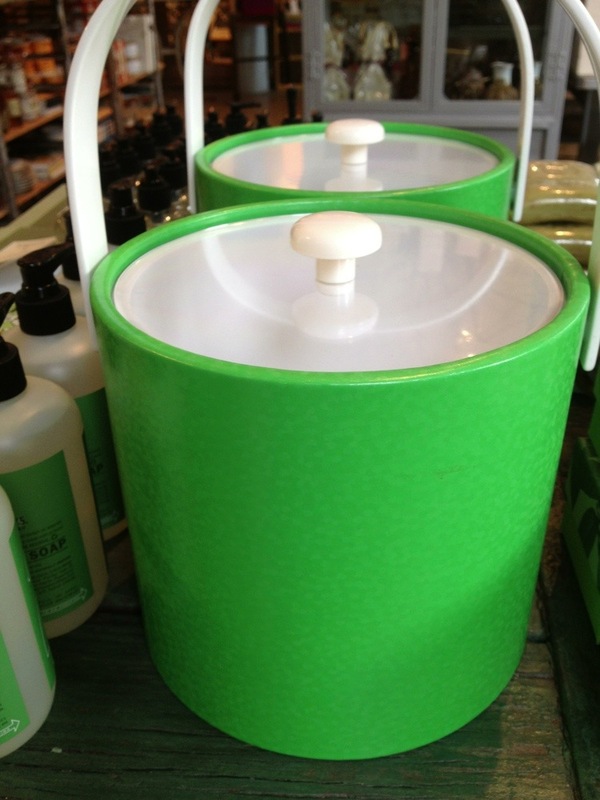 Love the simplicity of olives. Lastly, this amazing hummus we found awhile ago that is made with white beans. They also do an edamame hummus which is pretty over the top too. The hummus is nice with simple white crackers. There you have it. A visual week-night variety of things to enjoy with a cocktail with friends before dinner. Hardly any work at all, nothing overly fancy. The point really is to enjoy the time with our friends and not be stuck in the kitchen cooking. Things that mostly can be bought ahead and have stored in the pantry, at the ready for a week night meal with friends. Instead of Wine Wednesday, I thought I would put a little spin on it and make it Cocktail Wednesday for today. Has a nice ring to it, right? OOLA is a local Seattle distillery who has garnered acclaim nationally for stellar small batch gin, vodka, and bourbon whiskey. 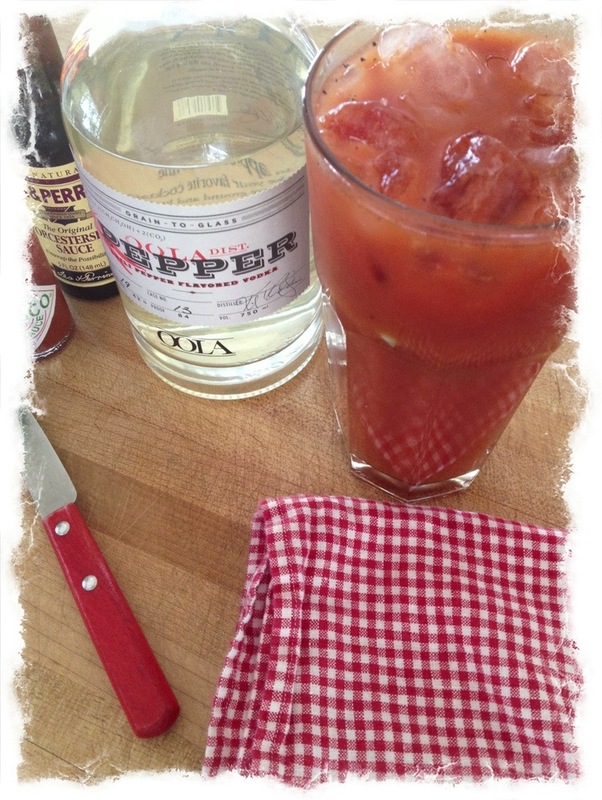 We were given a bottle of their chili pepper vodka as a gift during the Holidays, and I really wanted to see how much extra kick it would add to my Sunday Bloody Mary. Answer. Quite a bit. I have been playing around with the ratio, I know, tough job. What I have come up with is equal parts of the OOLA pepper vodka with equal parts regular vodka, and it is just perfect. Using the full amount as a shot was a bit strong for my taste, but half is spot on. It adds a deep spicy-ness to the cocktail and a little extra kick. 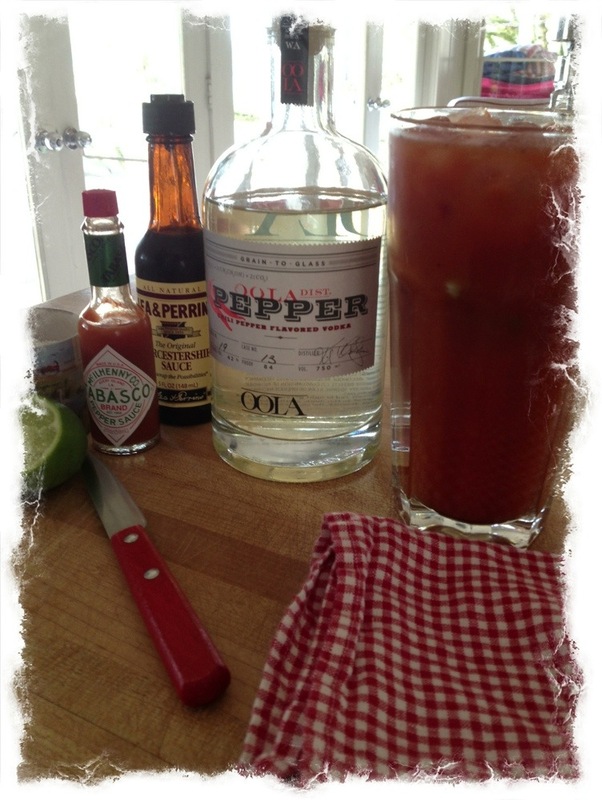 I posted my Bloody Mary recipe ages ago, and it has been so fun having folks chat with me about how they make theirs. There are a ton of variations, which I love. If you are a Bloody fan, give this OOLA a try. 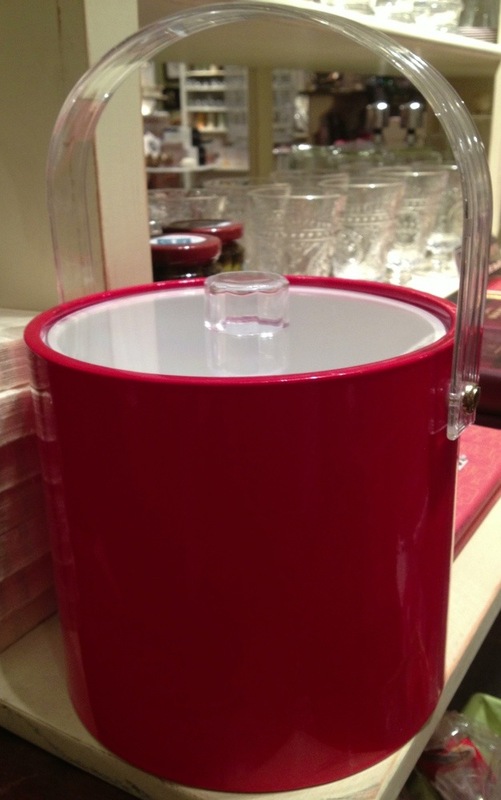 Ice buckets equate something good is about to happen. 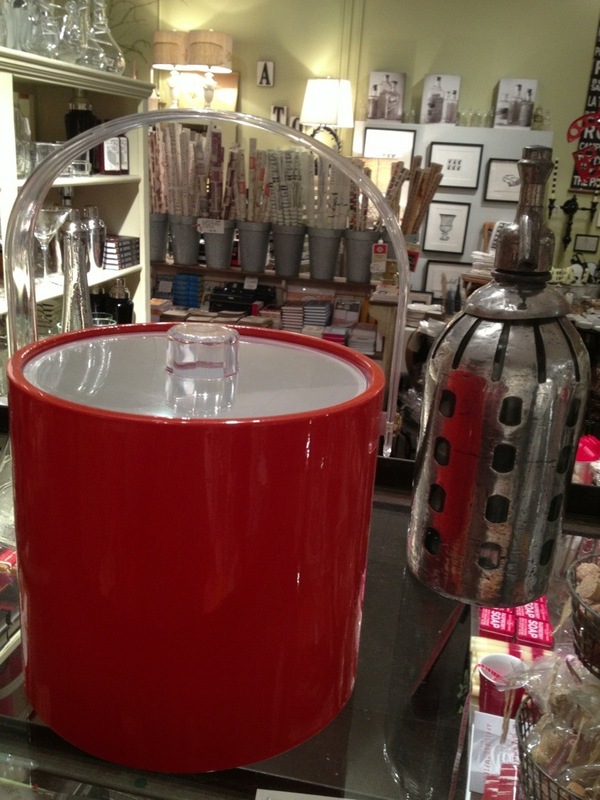 Filling up an ice bucket means guests are soon to arrive, laughter is right around the counter, soon stories will be told. You get the picture. They are just fun. When I spotted these happy objects at the show in August, I thought they would be a welcome addition to the shops goods. 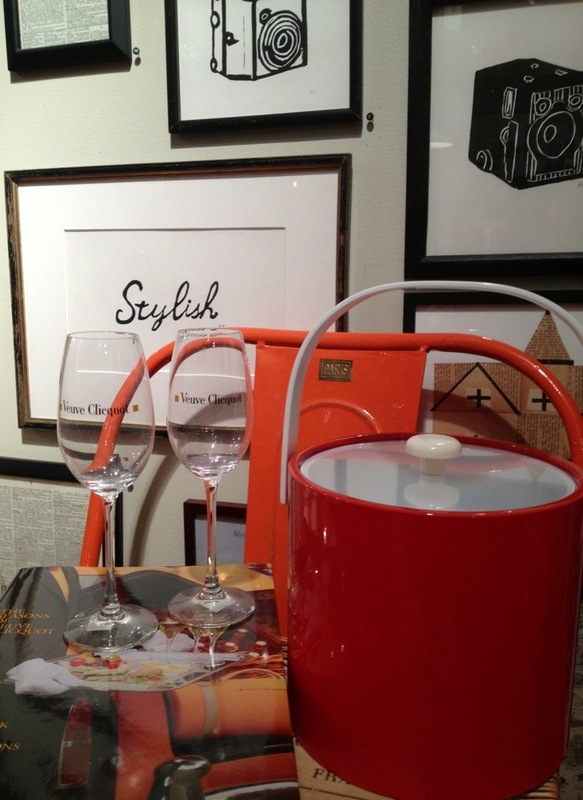 In orange, yellow, green and red–they look quite fetching mixed about in the displays. But they will really sing when they find a proper home and are put to good use. 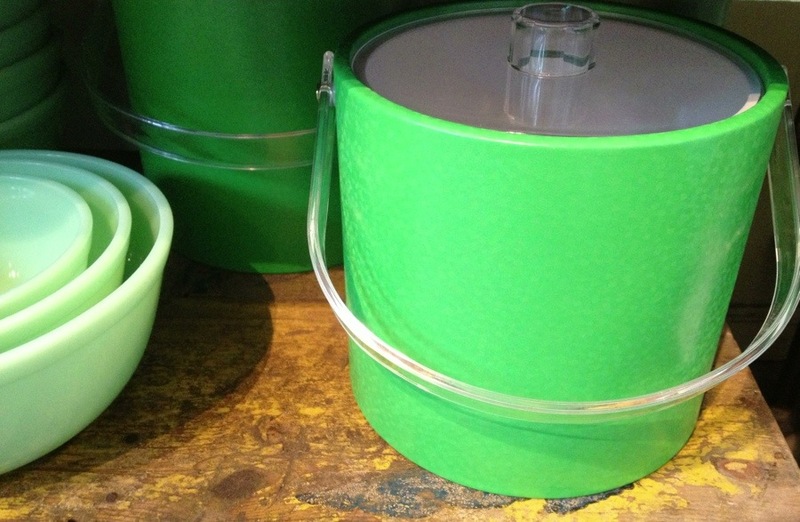 At any given time, we can have multiples of ice buckets in our living room and kitchen. I think I counted 5 or 6 just the other day. 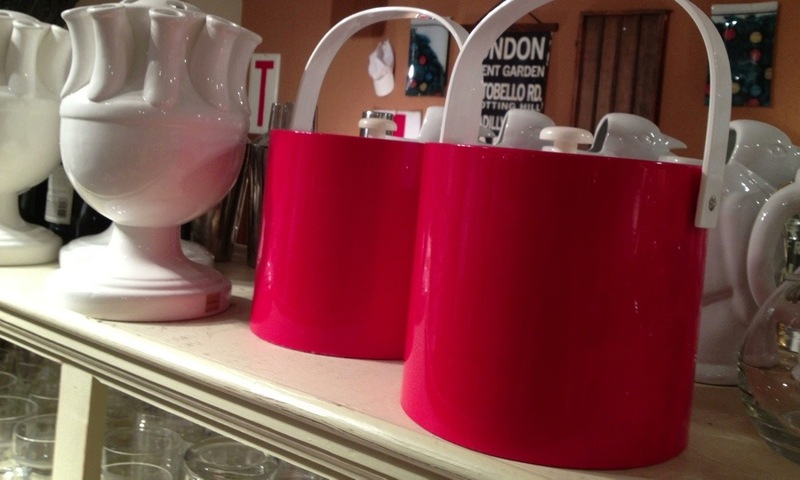 They work great in a pinch for holding flowers or silverware if you are serving food buffet style at a party. 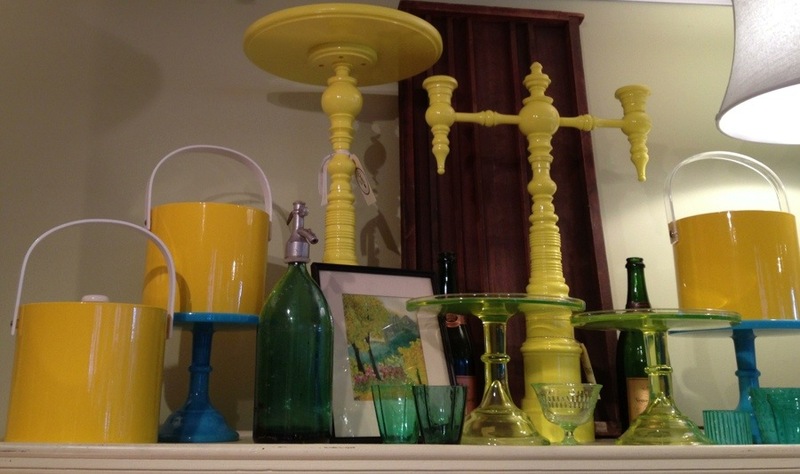 Whether glass, ceramic, wood, plastic, or crystal–they can be quite beautiful objects when not in icy use. 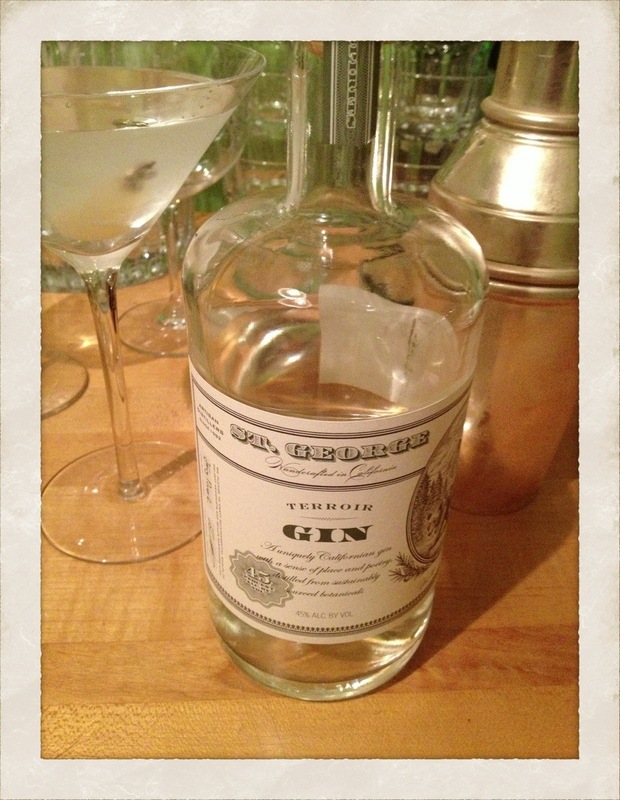 We were given some very special bottles of gin for Holiday gifts–I guess our friends know of our love of Friday eve martinis. One bottle was a type I knew very little about and had only tried a few times. Having our very own bottle has changed that, and I have done a bit of research on this spiffy, somewhat apothecary style bottle. Distilled in Alameda, California, St. George Spirits has been around for 30 years. Terroir gin is an ode to the wild beauty of the Golden State. This profoundly aromatic gin is forest driven and earthy. Think Douglas fir, California bay laurel, coastal sage–and you have one very unique sipping gin or one amazing martini. Plus the bottle looks quite cool sitting out to be visually enjoyed. Good stuff. 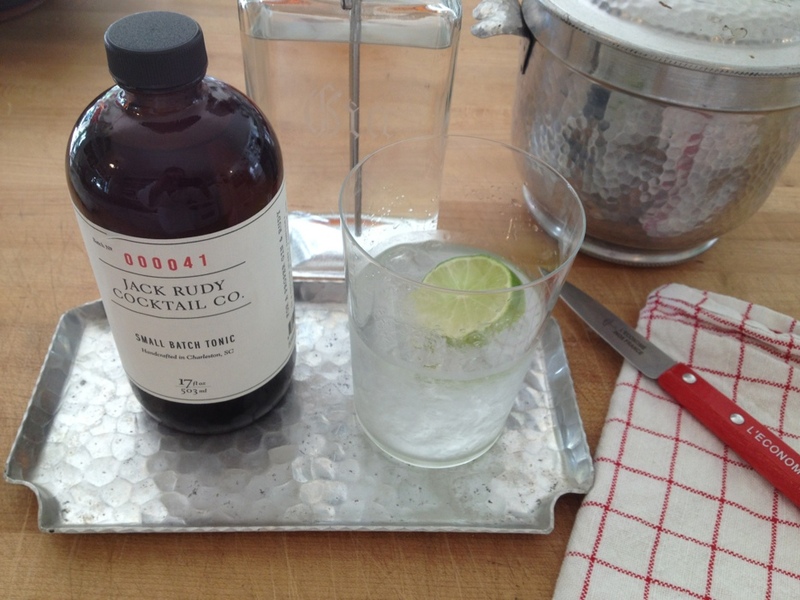 I have been looking for ways to use the Jack Rudy Cocktail Co. small batch tonic we sell at Watson Kennedy other than for a G & T. I think I found a winner. 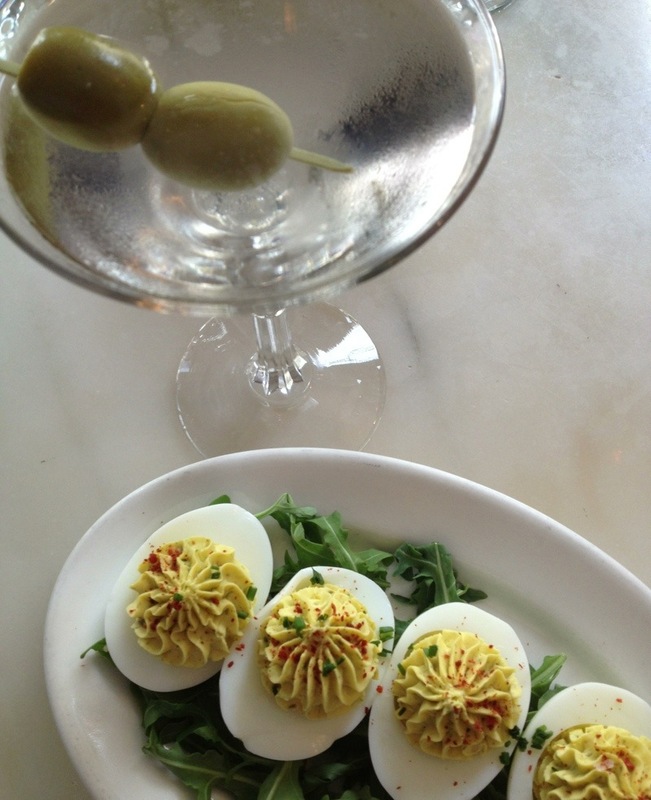 This is a recipe from the fabulous Husk restaurant in Charleston, by the talented mixologist Dan Latimer. Over ice pour 2 ounces anejo tequila. 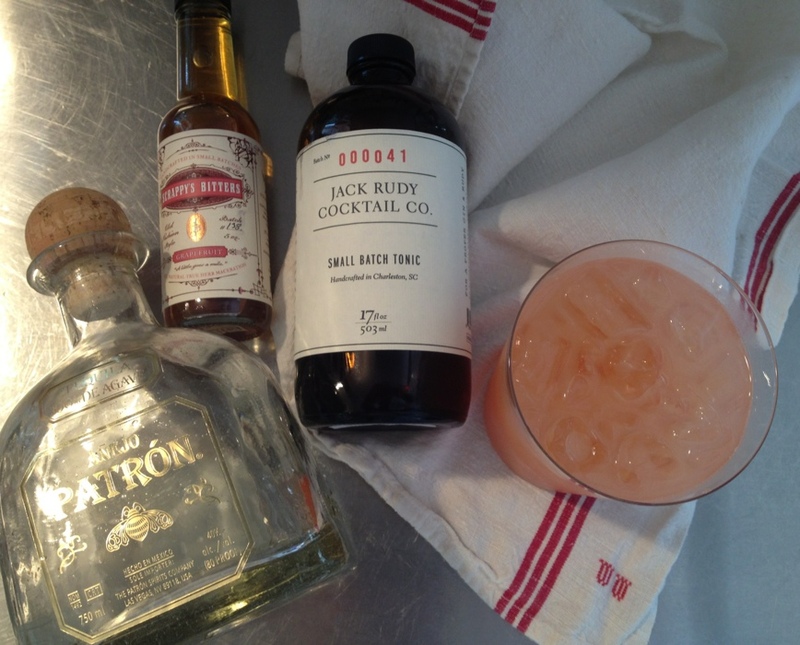 Add 3/4 ounces of Jack Rudy tonic, and 3 drops of grapefruit bitters. Add fresh grapefruit juice and then top with soda. Summer in a glass. Tags: Charleston • Cocktails • Jack Rudy Cocktail Co.
Small batch tonic, now that has a nice ring to it. 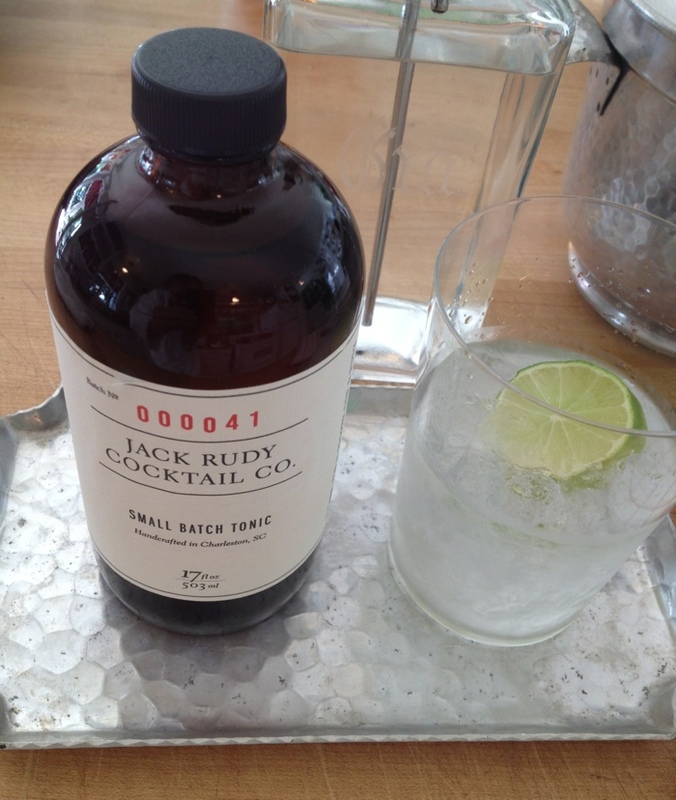 New to the shelves at Watson Kennedy, and just in time for Summer g&t’s, is Jack Rudy Cocktail Co. small batch tonic. This is not your ordinary somewhat bitter tonic. This is made with lemongrass and orange peel, along with quinine, to give the mixture a very herbaceous-ness flavor. I made TPS one last night, and he said it has a very ‘green’ flavor to it. Super refreshing. And once again, I am smitten with the bottle and packaging. These fellows from Charleston have come up with a winner–what is in the bottle is as good as what is on the outside. Tags: Charleston • Cocktails • Gin • Jack Rudy Cocktail Co.
As I type this, I still shake my head a little. Today we celebrate our 24th anniversary–my how time flies. It seems just like yesterday that we shared our first meal together. I/we feel so fortunate, thankful & blessed, for many, many things. 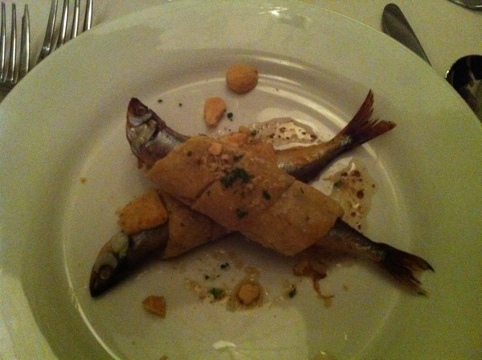 We had a meal last night prepared by chef Madden Surbaugh, who has a seasonal restaurant on Orcas Island. He was in Seattle last eve cooking a ‘farm to table’ meal for a small group of us. It really was extra special, as well as incredibly tasty, I really wanted to share it with all of you. To throw things over the top, each course was served with a special cocktail, many gin based, so we knew we were in for a lively night with much laughter. All of the food and alcohol was from purveyors in the San Juan Islands. They were present too, and each talked a bit about their offerings. Many of you who read these posts I know have a major love of food, as we do. Here is the menu in its very descriptive entirety. I thought you would enjoy the level of detail. Baked smelt in pastry with bitter orange, caramelized fennel and thyme stuffing. Brown butter sherry vinaigrette and marcona almonds. 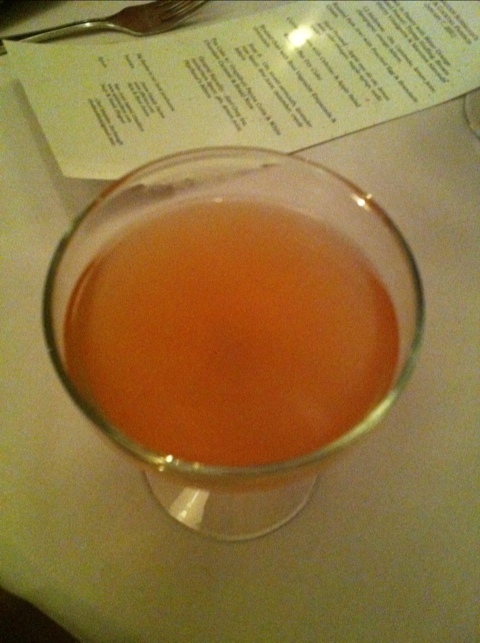 Served with a ’12 Anderson’ which is gin, Cointreau, lemon juice, champagne and orange bitters. Then roasted pork jowl with a poached egg (the color of the jolk reminded me of a Bresse egg from France, it was so fresh & orange) served with brandade cream. It was served with a ‘Hard Pressed’ which is made up of apple eau de vie, lemon juice, cider vinegar, maple syrup and soda water. 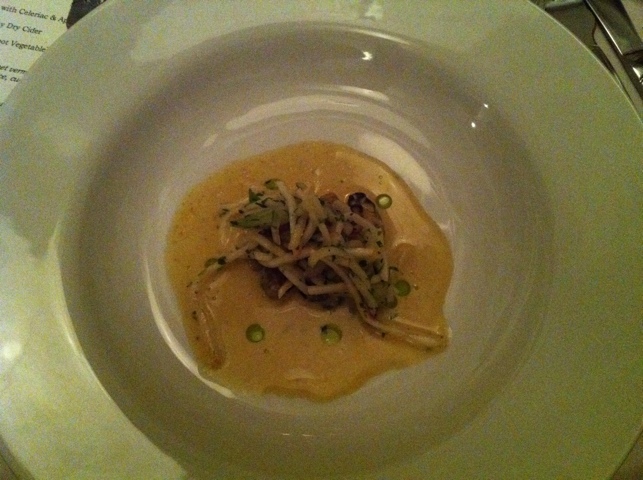 Next up was curried oysters with a celeriac & apple salad. The drink for this course was Wescott Bay dry cider. Then onto the meat course. Braised goat with a root vegetable empanada & gremolata. It was served with a ‘Suzy P’ which is gin, sweet vermouth, lavender rose liquor, lime juice, cucumber and creole bitters. And finally dessert. A tea cake with grapefruit panna cotta, white chocolate caramel and brazil nuts. It was served with a ‘General Equality’ which is Earl grey tea, nasturtium liquor, gin, lemon juice and Peychaud’s bitters. I hope you enjoyed the descriptions. It was a lovely, memorable evening and meal. The perfect way to kick-off our anniversary week-end!